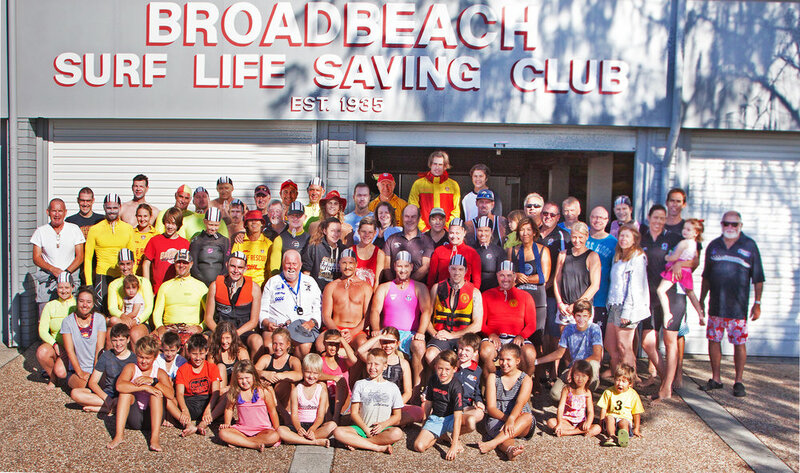 Since 1935, Broadbeach SLSC volunteer members hard worked hard to ensure our community can safely enjoy all the beach has to offer at Broadbeach. We have more than ..... members including nippers, cadets, juniors, seniors, honorary, award and life members. Our volunteer members patrol the Broadbeach stretch of beach every weekend and during school holidays between September and May each summer season. Last season (2016/2017) involved supervising around 10,000 swimmers with 2159 preventable actions resulting in 8 reported rescues. This was all achieved through our active members, aged from 14 through to 70+, who volunteered over 6,000 hours in 2016/2017 to patrol and protect the bathing public. Our club has one, less than full time, staff member who keeps the club administration running smoothly. Members are strongly committed to running the club and providing excellent services to beach visitors, members, families and the wider community. We have worked hard to establish a reputation for a welcoming, family-oriented club with a strong focus on encouraging children to actively participate in nippers and as long-term volunteer active members. On every Sunday morning during September to April there are hundreds of nippers, parents and families training to become future life savers and future community leaders – all as volunteers.